You will have 7 cards first. Keep the best ones, you can put the rest off. On the end of the round you will have new cards instead of the dropped ones. In the next round you will have again the possibility to change your cards. Put down the best combinations in the last round. With the combinations you can collect points, if you collect min. 100 points faster than the server, you WIN! Flirt with Lady luck with this 25 line 3D video slot machine. Match three or more symbols on any pay line to win a pay out, then cross your fingers as a new reel spins free for even more bounty! 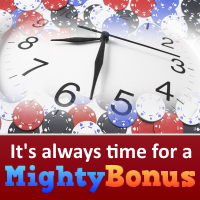 Each re-spin comes with a progressive multiplier to really boost your winning, you can reach a maximum ..